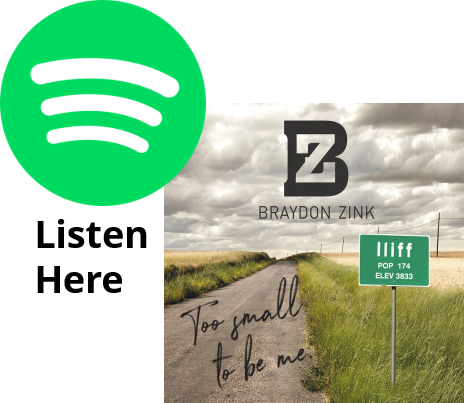 Based in Austin, Braydon Zink hails from the small town of Iliff Colorado. While attending college in Grand Junction to become a 3rd generation lineman, Zink set free a different long brewing craft. At age ten he was introduced to the organ by his grandmother and began learning gospel songs. While attending elementary school he played trumpet and learned how to read music. In sixth grade, with $30 saved, Zink bought his first guitar from Walmart and taught himself to play by listening to his grandparents’ Elvis Presley and Johnny Cash records. Throughout high school he was more involved with sports but continued to play guitar during any little free time. As fate would have it, Zink suffered from severe concussions keeping him from pursuing his dream of playing college sports. Instead he turned to playing his guitar, singing and writing his own songs while performing all over northeastern Colorado. Confident by his loyal following, Zink set his sights on Austin — known as the "Live Music Capital of the World." Zink's music is considered Texas Country, Red Dirt with Outlaw Country and Southern Rock influences. 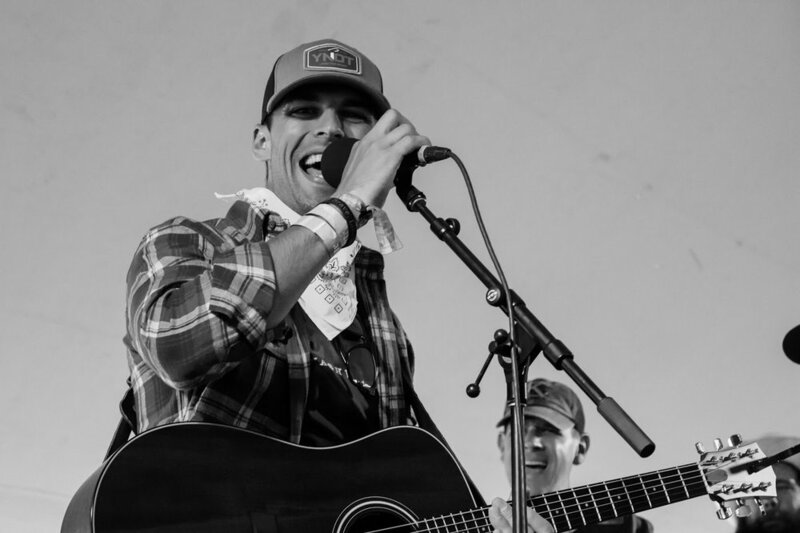 He has been living in Austin for about three years now and has been an opening act for Turnpike Troubadours, Johnny Rodriguez, and Hal Ketchum, just to name a few. Erin is an outdoor explorer from Eastern Iowa who inspires others to get out and adventure. While she is not out exploring, she is working 3 jobs or spending time with family and friends! She works full time at TrueNorth as a Contractor Risk Advocate, part time at a nursing home and instructing at Farrell’s Extreme Bodyshaping. After building her house two years ago she has been on the go non-stop, she started hiking to give her something to “slow down time.” Now, she not only uses it for that but it has become an extremely important factor in her life. She hikes and backpacks all over the Midwest, finding amazing unheard of spots to share with others. From Staying in a Teepee on an Indian Reservation to sleeping in Hammocks in the Forest, she is always up to the challenge to try to new things. If you want some Midwest motivation, head over to her Instagram page and check out her latest outdoor adventures! 'Live your life by a compass, not a clock.' - "Something I live by, so much so that I have a compass on my shoulder. Nature and being outdoors has become imperative in my life. MB Outdoors' brand of the Adventure Lifestyle and mine are one in the same, and the Midwest is very important to both. Excited to work with this company and get some great gear outside!" 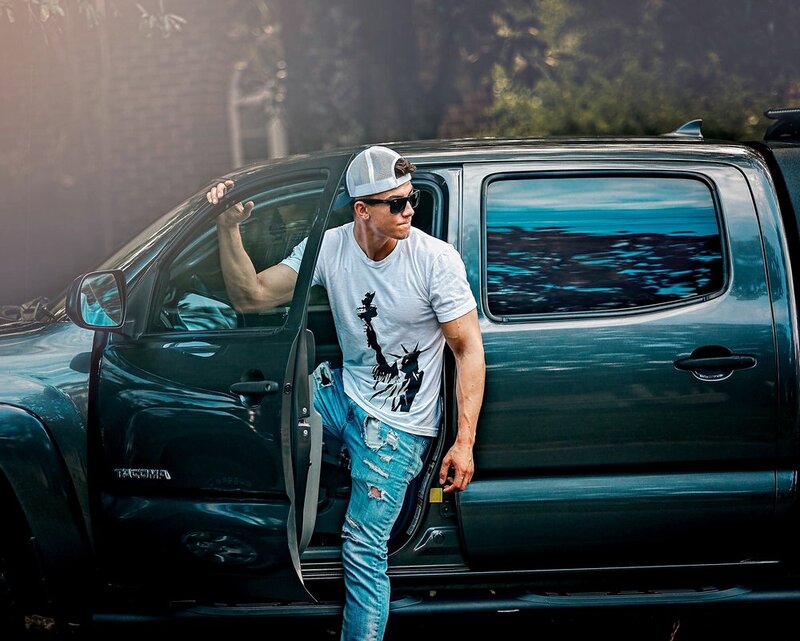 Born and raised on a dairy farm in northern Minnesota, singer/songwriter Derek Austin is an avid hunter/ fisher and outdoorsman. He found his true passion in Country music driving tractors by day and going to Chesney shows by night. Derek attended college in Washington state where he studied Air Traffic Control. After graduating, he worked in Alaska before ultimately trading in the tower life for a guitar and bar stool in Nashville. His self titled debut EP is available online. After attending The University of Colorado in Colorado Springs, I decided that 20+ years in Minnesota wasn’t enough and made the move back to where I was born and raised. Pursuing a self-driven career in real estate with endless opportunities to positively impact the lives of others brought forth a world of eye-opening experiences. 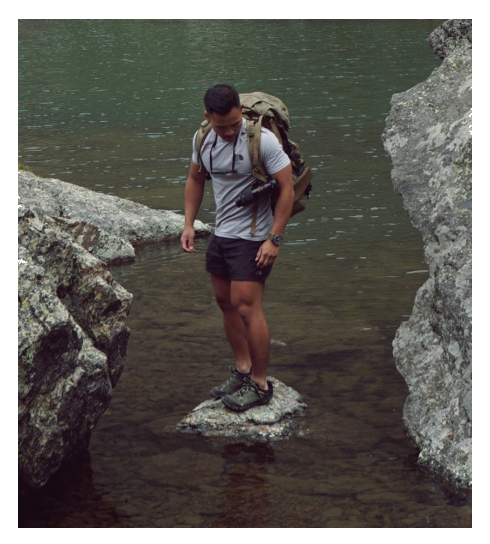 In addition to having a career in real estate, I can be described as a fitness enthusiast, frequent traveler, future published author, and avid lover of everything outdoors. A few things that I am passionate about include serving others, camping in the north woods of Minnesota, writing at local coffee shops, and taking frequent trips out west to my second home, the mountains. Hiking. Camping. Traveling. Trees. Fog. Mountains. Everything outdoors. Truly the most freeing feeling is being "lost" in the forest. The time I spent living in the state of Colorado has shown me that some of the greatest moments of my life thus far have been made in the mountains, realigning with myself and sharing the beauty with others. This is where my passion for writing came to fruition. To sit for hours, feeling so small on the side of a mountain, appreciating all that the wilderness has to offer. From simple journal entries, to lengthy poems, writing was my escape. Being “lost” in the forest is where I found this passion, or this passion found me. It showed me how to be real, how to be raw. To be conscious of my thoughts, choosing to live in the moment, being present throughout the day. Brad Brownfield hails from Doddridge County, WV where he grew up working his dad’s 200 acre beef cattle farm. He played music in church and started writing his own songs around age 12. After studying engineering at West Point and MIT, Brad attended Ranger School and soon after deployed to Afghanistan with the 82nd Airborne Division. 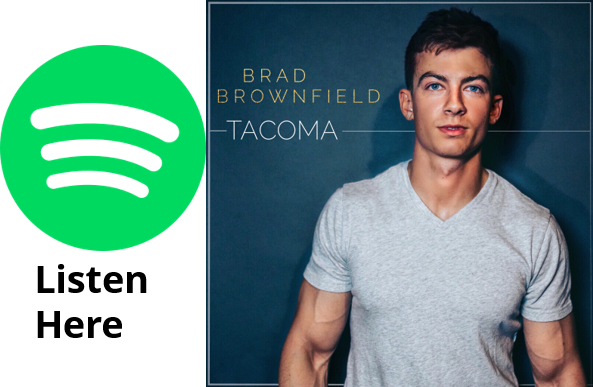 Brad continued to write songs while in Afghanistan and released “Tacoma” upon returning from the deployment in 2018. "Being apart of nature, I've always felt obligated to explore it. I love the great outdoors because it is something we can all afford and enjoy. I have gone from puddles to lakes and hills to mountains. My work and passion has allowed me to venture around the world and expand the borders of my backyard. 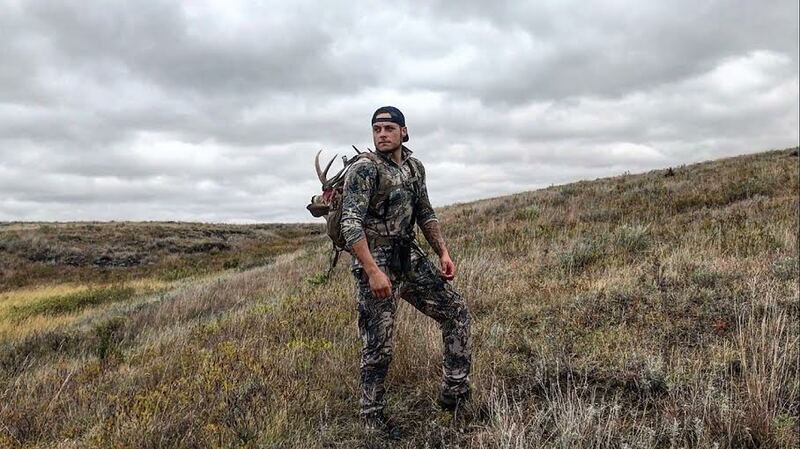 My adventures have led me to many worthwhile destinations, including the team of MB Outdoors." "Being a true Midwesterner from Nebraska I have always had a passion for the outdoors and adventure. My whole life revolves around horses. I have ridden horses since I was four years old and have always competed in 4H, professional rodeos, and on the Arabian horse circuit. With 4H, I have won six belt buckles including multiple state championships. I was also captain of our national team. Every year I represent the Arabian breed at the largest California rodeo. My horse and I meet and greet over fifteen thousand people a night and then we put on an exhibition show. With the Arabian shows, I am currently ranked number four in the United States and sixth in Canada for Open Western Pleasure and Sport Horse. In the summer I help run horse camps for kids and lead them on camping trips with their horses. For the small amount of time I am not on a horse, I can be found hunting, hiking, fishing, shooting, or camping. I try to start every morning by hiking with my dog. When I get a little free time I enjoy one of my life long passions, fishing. I love bass fishing, but crawdad fishing is my favorite. 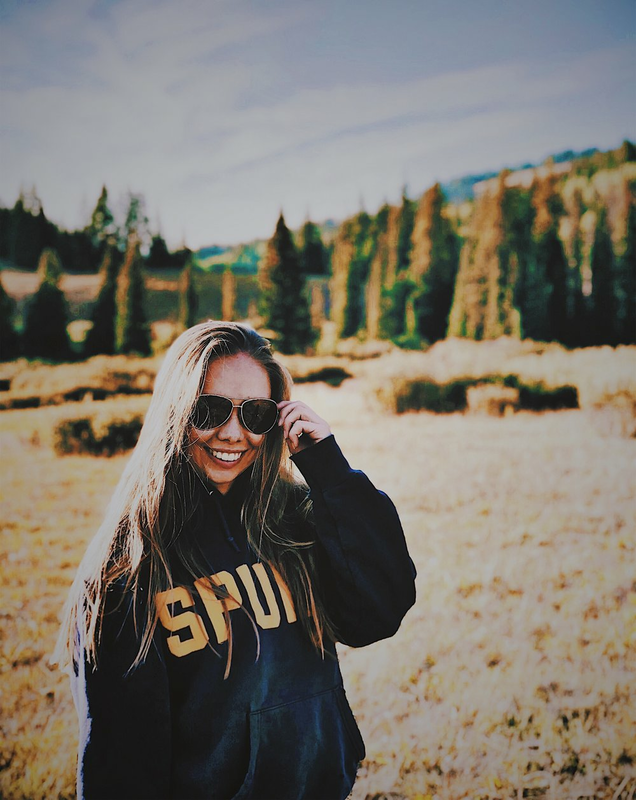 Besides my love for the outdoors, I am also a fourth year college student at a local university majoring in English Literature." Adopted into a family living in the city and away from nature, I always had a desire for the outdoors. A deep appreciation and fascination for the natural world that many of us feel has called me back to it. My wife, three children and I have moved to the deep Northwoods of Wisconsin. We work at a camp that serves youth and families from all across the region with a longing to see growth within the family unit. Along with being a maintenance technician for this non profit, I use my photographs to allow others to better understand life up here in the great outdoors, as well as using the proceeds to support what we do and who we serve. I deeply believe that there is a great need, in today's busy and distracting world, to take a moment and regain an affection for the simple aspects of life. The silent depths of natures beauty. I desire for my work of simply capturing this stunning beauty that surrounds us to evoke thought and emotion as best I can. To express myself and to share a piece of what I have, as we all do in some way, shape or form. This is an immense aspect of humanity, connecting to the senses of others in order to better understand the greater meaning this side of life. My call is to community. My medium is through my lens. Born and raised in Wisconsin, I grew up in a household with a father who loved the outdoors. Although he never pushed his passion on me, it was something I couldn’t resist even if I tried. Something that started with me simply throwing a bobber in the lake and sitting in a deer stand only to eat the snacks, bloomed into an obsession that often seems to take over my thoughts. Hunting, fishing, hiking, and kayaking/canoeing are just a few of the outdoor activities I enjoy. I’m so thankful to my old man for all he has taught me. I took that knowledge and continue to expand upon it everyday. I love nothing more than learning a new way to target a fish, or how to hunt a new species. When it really comes full circle, and I’m able to teach or inspire someone else, that’s what this is truly all about in my book. I feel so fortunate for every opportunity I get to enjoy nature, and sharing that with fellow outdoor enthusiasts is something I’ll never take for granted! Teaming up with MB Outdoors allows me to do this, and designs apparel that I can stand behind. I’m proud to be involved with a company that gives back and makes me feel right at home with their Midwest vibe. Cody joined the army in 2014 and became an Aircraft Hydraulic Repairer and was stationed in Fort Riley, Kansas until January of 2017 when he was reassigned to B Co. 1-214 in Ansbach, Germany. He remained there until November of 2018. Logan Cummins is from small town Iowa south of Des Moines. He owns his own landscaping business providing services all over central Iowa. When Logan is not working on his own business he is also a volunteer firefighter. Logan is a hard worker and his adventures keep him very busy. When he’s not too busy digging in the dirt and or on site helping out during a fire you can guarantee you’ll find him outdoors. Whether he’s traveling to Colorado to hike and camp the back country, chasing whitetail deer, riding snowmobiles, hunting turkeys, fishing for bass across Iowa, or tossing a fly upstream in Wyoming he will be chasing his passions and being the best outdoorsman he can be. Logan works hard and takes pride in being the most ethical outdoorsman. 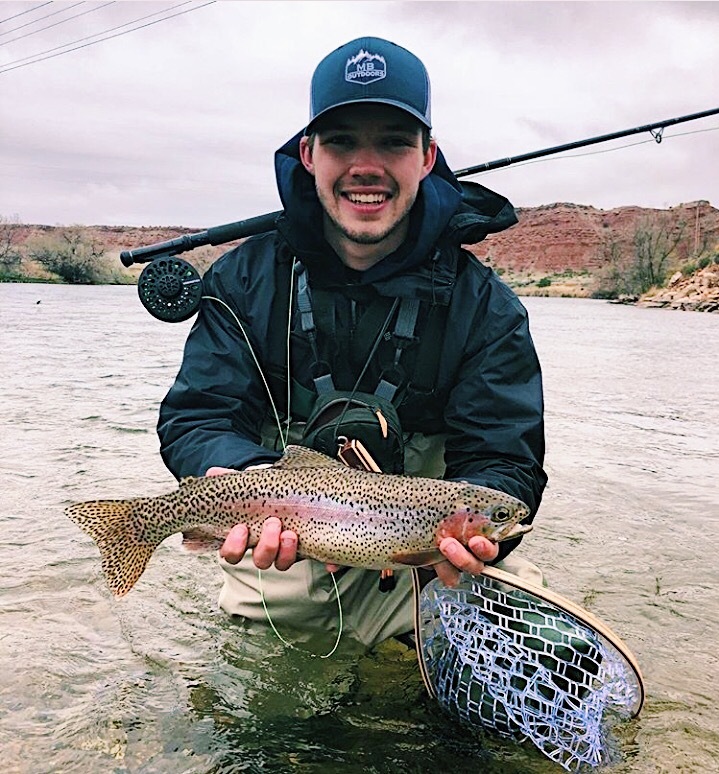 Logan also believes in using his love and knowledge of conservation to help educate others and get them into the great outdoors to find their passion. 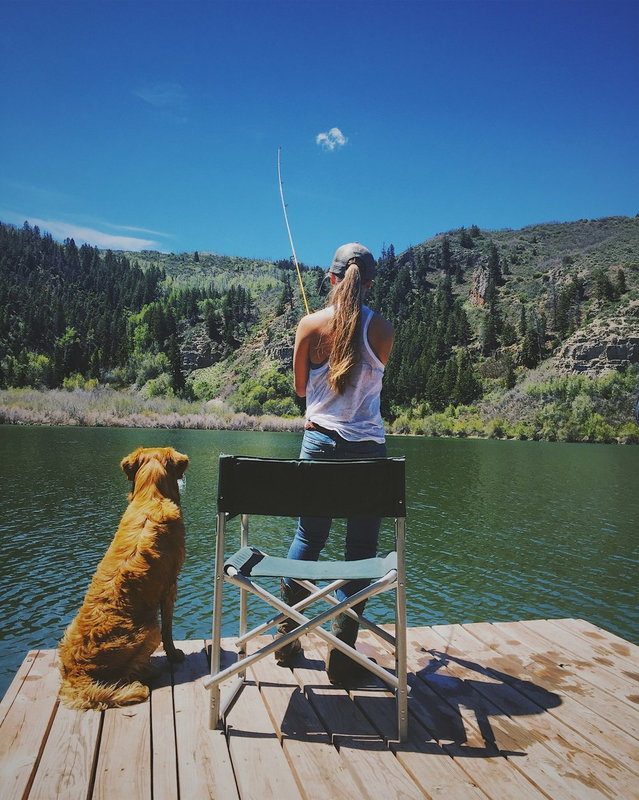 "Hunting is a passion, fishing is an obsession, camping is a addiction, but none of these are possible without the love for great outdoors and that’s where wyo_pursuit puts its heart! Wyoming is known for its prairie lands, rivers, and forestry that hundreds of species of wildlife call home. That’s where you can find wyo_pursuit as we pursue an adventure through this beautiful state on a daily basis! If you’re into the outdoors and enjoy endless adventures through the heart of the back country, then follow us on Instagram and join us as we take this journey!" When in doubt, “charge the mountain”. Before Clay created a small business doing leather work, it was merely a hobby, and a modest one at that. He learned the most basic skills from his roommate, Logan, while in college in 2015 and his first leather projects came to life on a $10 thrift store dining room table. After college, Clay began accumulating his own collection of leather working tools & equipment and in July of 2017 offered his first items for sale to friends and family. Thus, Sunny C Leather was born. It quickly grew as a side business and in October 2018 Clay took Sunny C Leather to full-time business status. Clay's passion has always been exercising his creativity via hands-on skills to create unique and high quality handmade items. His goal is to bring back the popularity and consumer pride in owning handmade items crafted right here in the USA.